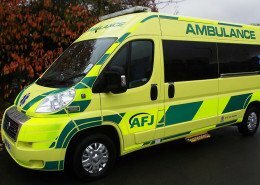 Minibus hire with driver Birmingham is a service provided by AFJ. We pride ourselves in providing our clients with an unrivalled service in Birmingham. Whether you are looking to go out for corporate travel, hen night, stag night, company outing, AFJ minibus hire with driver have the minibuses to suite all your needs. We have been providing minibus hire with driver in Birmingham since the beginning of 2006. Our range of minibuses to hire in Birmingham includes three different ranges Silver, Gold, Platinum. Check out our packages. Our Platinum range consists of only Mercedes Minibuses built by AFJ conversions with electric doors, air condition, central heating, DVD, individual seat laptop/phone chargers, reclining seats, head rests, foot rests, individual night reading lights. Coffee machine, Fridge. Our Gold range includes minibuses less then 5 years old these could be the following minibuses Ford minibus executive, Iveco minibus executive, Mercedes minibus executive. Our silver range includes minibuses less than seven Years old these could be the following minibuses Ford, Iveco, LDV Maxus Standard. To provide a quality minibus hire with driver we maintain and look after all of our minibuses. our staff go through a 6 monthly performance review so you can be assured when booking one of our minibuses, we have taken care of all the important things for you to enjoy your journey with us. We make sure that we are transparent letting you see clearly how we perform, where we get it right and are always working to improve or where we get it wrong and learning to get things right. through transparency we believe its you that can help us bring out the best in our service. If you require Minibus hire with driver Birmingham Please give us a call and a member of our team will be more than happy to work out a no obligation quote.